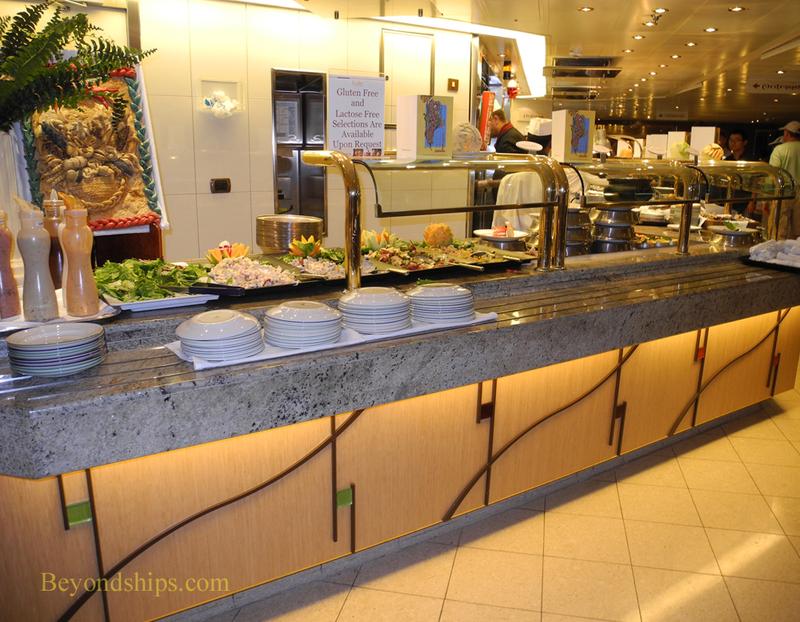 The Lido is Eurodam's buffet restaurant. It is opens at 6:30 in the morning with continental breakfast and goes through to a late night snack ending at 11:30. In between it serves a full buffet breakfast, lunch, afternoon snacks, and casual dinner. Located between Eurodam's two swimming pool areas on Deck Nine, the Lido is a big room with large picture windows looking out over the port and starboard sides. Next to the windows are the seating areas with the buffet counters and stations occupying the middle of the room. Forward of the Lido is the Terrace Grill. This small venue offers hamburgers and hot dogs. However, it also has salmon, veggie burgers and a number of other light items. Aft of the Lido is Slice, the ship's pizzeria. It is open from 11:30 a.m. until 12:30 the following morning. Looking for a specialty coffee? Explorations Cafe in the observation lounge area on Deck Eleven is the place. It is conveniently close to the internet cafe and the library. They also have various accompaniments such as sandwiches and pastries. This venue is open from seven in the morning until 10 at night. 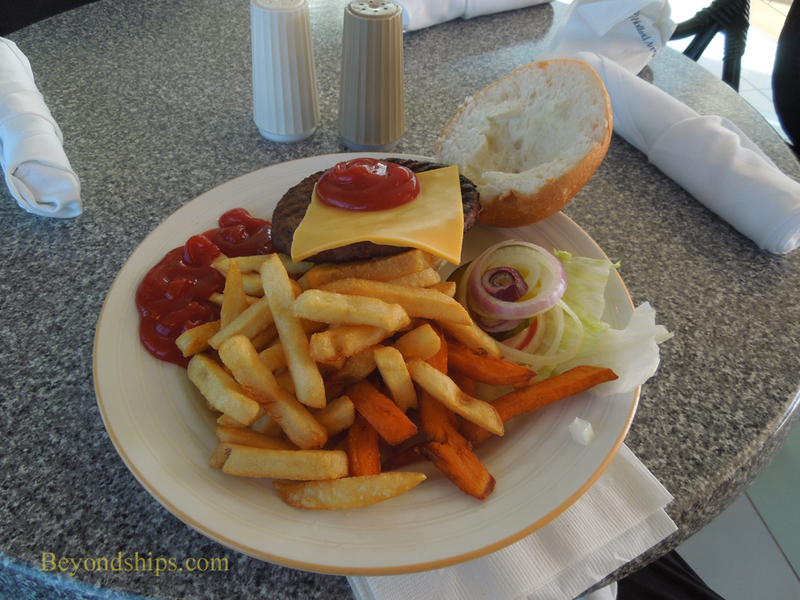 Below: As the display shows, the Terrace Grill is not just about hamburgers.